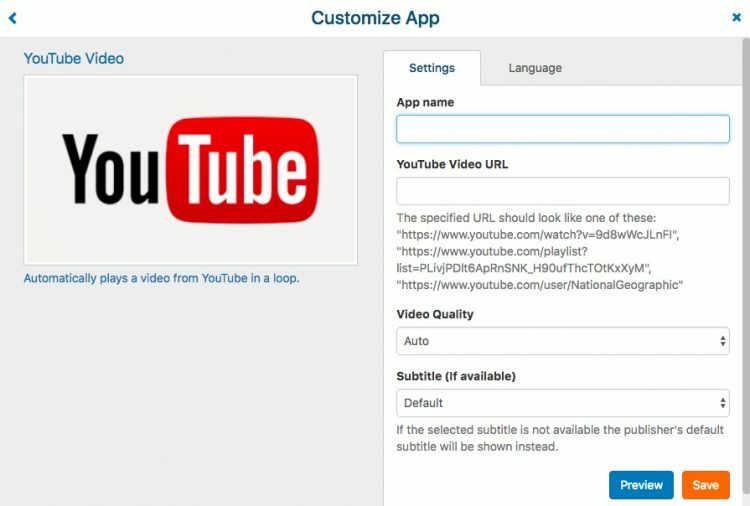 YouTube is only one of several Social Network Apps available with OnSign TV. This App is a great way of sharing video in your digital signage without the need of uploading files to OnSign TV separately. It is even better if your company already has a YouTube channel full of content ready to be shown. 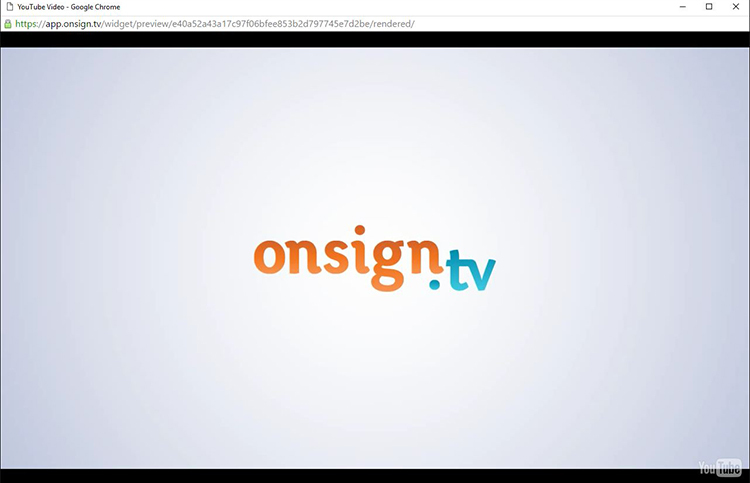 In your OnSign TV account, you can start to set Apps by creating a campaign or editing an existing one. In the campaign editor you will find the orange "New" button. Then click “App” open the App Gallery. You can find it also on the Content page. In the pop-up App Gallery displaying all OnSign TV Apps (How to Add Apps), select “Social Networks”. Then, select the “YouTube Video” App. Give the app a "Name" to find it easily when creating a new campaign. Insert the URL of the video. There are three display options: single video, playlist and channel. Check the link format examples below the URL field. Choose the video quality. Set it on “Auto” when your internet connection varies in strength. Furthermore, you can enable subtitles, if they are available. If so, you have to choose a language or set is as default. Click on “Preview” to check if you have inserted the correct URL and that the video is playing. Then hit “Save”.